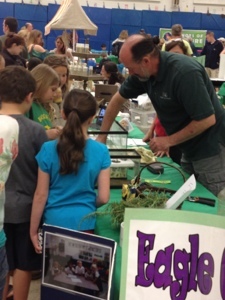 This past weekend I went to an Eco Fair at Bodkin Elementary School in my hometown. 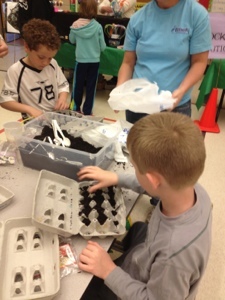 Kids, parents, teachers, vendors, musicians, and community members all gathered together for a fun day o'green. 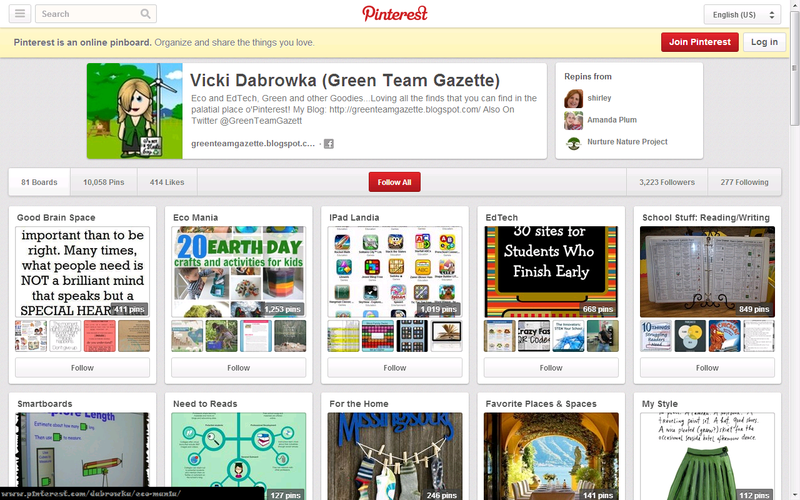 The goal: to raise environmental awareness at this Maryland Green School since 2007. Here are just a few of the folks who were there: Chesapeake Bay Foundation, Anne Arundel County Recycling, Eagle Cove School, the Anne Arundel County Watershed Stewards, and some community business. 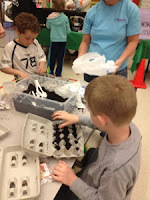 There were crafts, raffles, yummy stuff, music, and more. 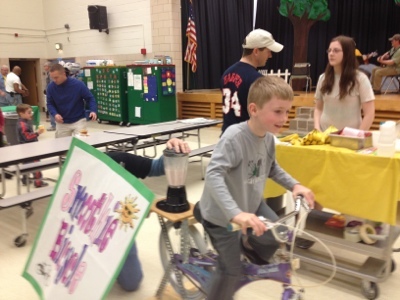 One of my favorite highlights: my son working up a sweat on the "Smoothie Bicycle." His muscle power is what blended the ice, banana, and strawberries! A neat treat indeed!! Pictures from my camera from Bodkin's Eco Fair.